When eating low carb, eggs can get tiring for breakfast. 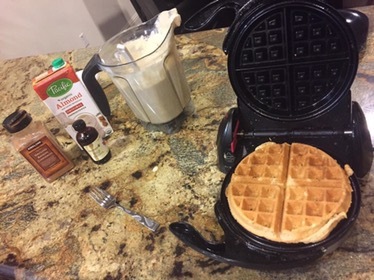 Skipping breakfast is actually a great option, as 16 hour fasts are great for our bodies… but for those who prefer not to skip breakfast….these waffles are tried and true delicious! My husband and teens love them. We make a batch up once or twice a week. We freeze them and pull them out and toast them up as desired. It takes some time to prepare but makes for a quick, easy meal when prepped ahead of time. They are good without adding anything to them, but some butter and jam, honey, peanut butter, syrup, SF syrup are all great options to top them off as well. Your kids and your health will thank you and you won’t feel full and bloated after you eat them! Enjoy! 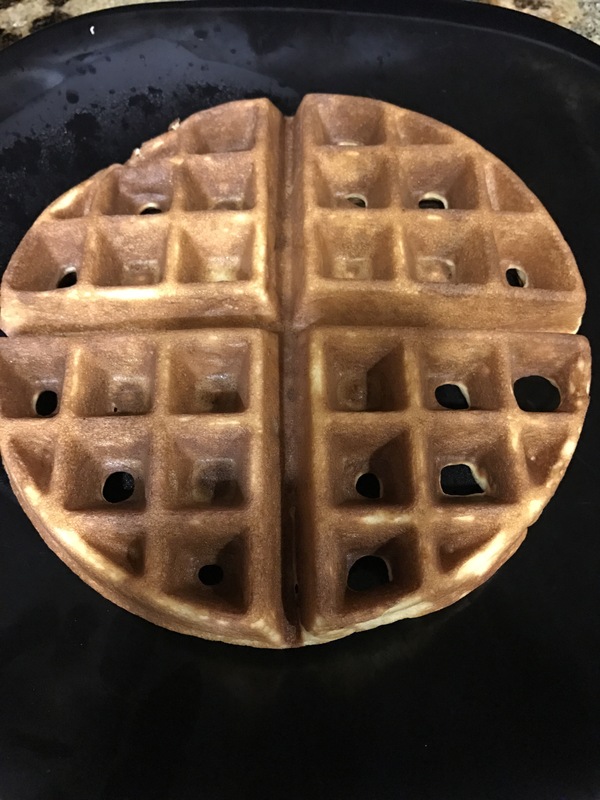 Blend ingredients and cook in waffle iron. Makes 8 full size waffles.